If you are faced with the need to take an aromatase inhibitor, then Anazole will be an excellent choice. These tablets, the main active ingredient in the composition of which is a substance such as anastrozole, are manufactured by the Indian company Alpha Pharma. While undergoing steroid courses, some athletes suffer from the process of flavoring, during which part of the testosterone is converted into estradiol. If the last hormone in the blood becomes too much, then the athlete’s state of health worsens due to the manifestation of side effects. Slowing down aromatization causes the use of aromatase inhibitors. There are a great many, but anastrozole is very popular. If you take it in properly selected doses, then the estradiol content will be low enough, which will protect you from fluid retention in the cells, breast growth of the female type, pressure increase, and other undesirable effects. · Increase the level of natural testosterone. 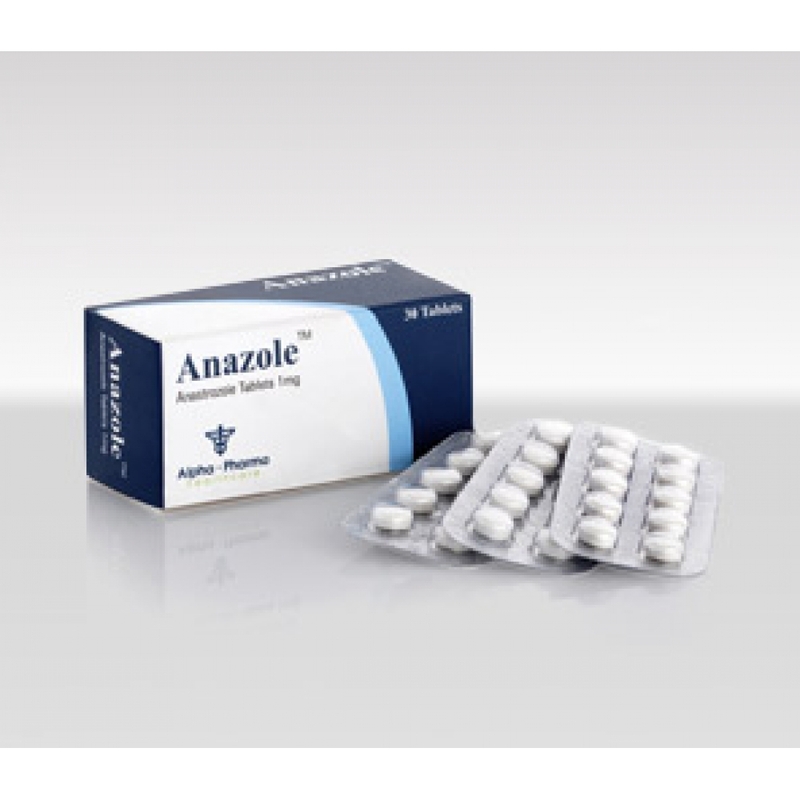 Anazole is usually included in courses that are based on the use of steroids that can cause aromatization. Meanwhile, some athletes, taking, say, testosterone, do not have any problems, so before you start using Anazole, you should make sure that the level of estradiol is actually high. To obtain this information will have to pass tests. If we talk about the duration of administration of the presented drug, then it is equal to the duration of the steroid course. If the test results indicate that estradiol is elevated, then the initial dose of Anazole should be equal to 1 mg, which should be consumed once every two days. After 10 days from the moment of taking Anazole, visit the clinic again for testing. This will allow you to conclude about the effectiveness of the drug and make the right decision regarding increasing or decreasing the dosage. Of course, the aromatase inhibitor should help in the fight against elevated levels of estradiol, but do not forget that this female hormone is produced in large quantities in those athletes who suffer from excess adipose tissue.